30.09.2013 (Hvino News). "Drink Georgian!" 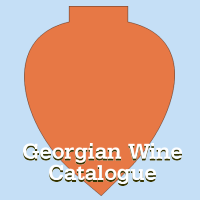 is the simple and catchy slogan of a global community launched by AGC and Hvino.com recently for the fans of famous Georgian drinks worldwide, as well as for producers, importers and retailers. "Drink Georgian!" (DG!) unites under a single umbrella the Georgian-made wine, spirits, mineral water and soft drinks including the famous lemonades. Hvino.com, the initiator of "Drink Georgian! ", welcomes cooperation with all organizations, companies, mass media who wish to support the promotion of Georgian products and exports, as well as popularization of Georgian traditional food, drinks, culture, and lifestyle. Inquiries may be sent to our team at Hvino News.